Tomorrow's News Today - Atlanta: [Retail Renewal] Perimeter Mall Attracts Huge Zara, New Restaurants, Hotel and More! [Retail Renewal] Perimeter Mall Attracts Huge Zara, New Restaurants, Hotel and More! A number of changes are taking place in and around Perimeter Mall in Dunwoody. Below, Tomorrow's News Today - Atlanta (ToNeTo Atlanta) looks at the history of the suburban mall, its beginnings, recent updates and its future. A four screen General Cinemas movie theater opened in an outparcel of the mall in 1973. The theater was located along Ashford Dunwoody Road in an out-parcel of the JCPenney department store. The theater was closed and demolished in 2000 and is currently excess parking, but is close to where the mall plans to construct two new restaurants. Despite the struggles [and closures] of other malls, Perimeter's location in the northern suburbs of Atlanta has allowed the mall to consistently reinvent itself and attract new retailers and restaurants to the property. Perimeter is likely not at the same level in either sales or traffic of Buckhead's Lenox Square, but its mix of suburban shoppers and proximity to a growing number of corporate campuses [Inspire Brands, IHG, State Farm, Krystal, and Insight Global among them], make it an ideal location for the varied levels of restaurants and retailers the mall has and continues to attract. Initial Perimeter Mall stores included Spencer Gifts, Chess King, The Limited, Lerner Shops, Regenstein's, Tinder Box, The Apartment Store, B. Dalton Bookseller, Franklin Music, Bailey Banks & Biddle Jewelers, Wicks-n-Sticks, Muse's, Size 5-7-9 Shops, Singer Sewing Center, Dress Pavilion, The Horse With the Yellow Umbrella (gourmet cooking utensils), Chick-fil-A and Ollie's Trolley Restaurant. Of this list, only Chick-fil-A remains in business in the mall today. In 1977, the first Great American Cookie Company store opened in Perimeter Mall. Five years later, an additional wing anchored by a Davison's department store was added, giving the mall a "T" shape. In 1998, the mall was expanded again with the addition of the first Southeast location of Nordstrom. JCPenney left the mall in 2000 while a 77,000 square foot outdoor promenade opened along the Ashford Dunwoody Road facing side of the mall that year. 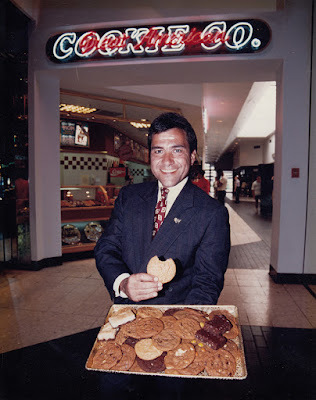 The new outdoor feature, meant to replicate a streetscape, brought new locations of The Cheesecake Factory, Maggiano's Little Italy and The Corner Bakery, Garrison's Broiler & Tap and Goldfish, as well as retailers including Chico's and Z Gallerie to the mall. Today, The Cheesecake Factory and Maggiano's remain in their original spaces, while every other restaurant space has changed, Chico's closed and Z Gallerie closed, later relocating inside the mall and replaced on the outside by Urban Outfitters. Rouse was sold to General Growth Properties in 2004 in a nearly $13 billion dollar transaction. In 2005, Dillard's opened a new store on the site of the former JCPenney. On January 4, 2012, Bloomingdale's announced that it would close its location in the mall, and on January 5, Davenport, Iowa-based Von Maur announced that it would be taking over the location and open its second Georgia location at the mall. The new Von Maur opened in November 2012, a year after the first Von Maur in the Atlanta market had opened in Alpharetta's North Point Mall in place of a former Belk store. In 2014, fast-fashion retailer H&M opened an approximately 26,000 square foot store at the mall, replacing both former retail space and some interior common area space. Overall, Perimeter Mall is the second largest mall in metro Atlanta by square footage with 1.57 million square feet of total space, including mall owned restaurant out-parcels. Mall of Georgia in Buford is largest in the area at 1.8 million square feet with Lenox Square in Buckhead third at 1.56 million square feet. Today, the mall is once again reinventing itself to keep up with changes in the market. 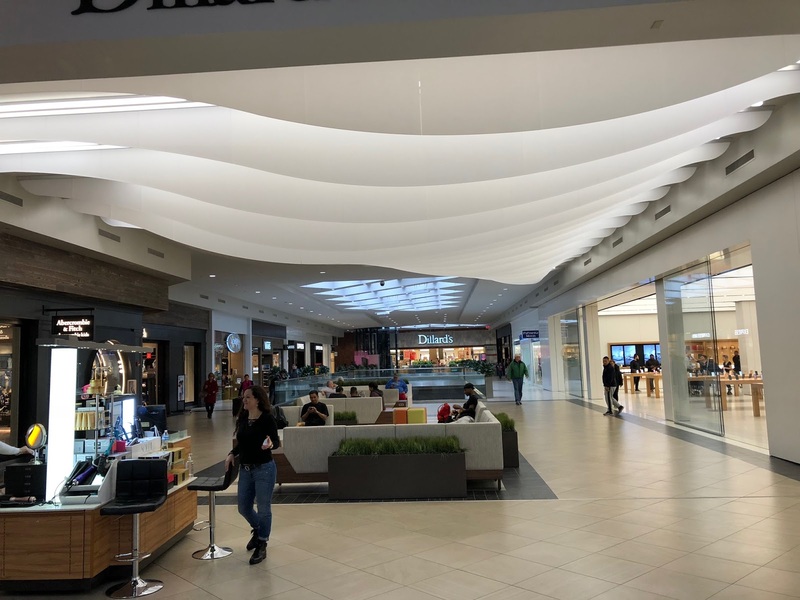 Mall ownership quietly spent about $30 million on an extensive interior renovation that was completed in late 2017. 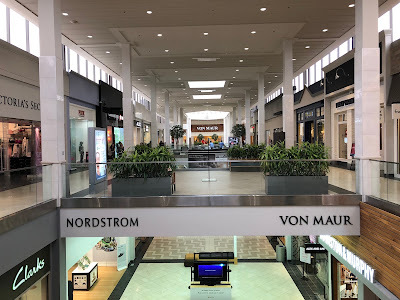 The renovation included new flooring throughout the mall, raising common area ceilings three to five feet, new seating, updated lighting, new decor and a new elevator in the Dillard's wing, among other improvements. Palmetto Moon, a Charleston-based retailer of collegiate and southern lifestyle apparel and accessories, opened a 6,500 square foot store in the mall this past August. In late 2016, Apple relocated from their existing approximately 4,500 square foot store in the mall to a roughly 10,000 square foot space. Max's Pizza opened in place of the short-lived Varasano's Pizzeria in early 2018. 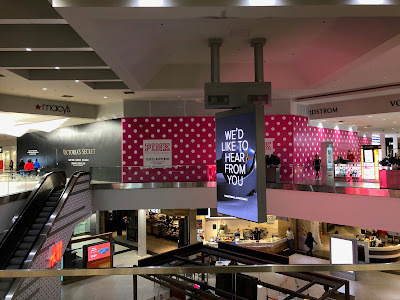 Abercrombie & Fitch recently completed a renovation of their store that introduced the brand's new logo to the Dunwoody mall and also saw the addition of a shop-in-shop abercrombie kids store. Brookfield, which this past August completed its $15 billion takeover of General Growth Properties (GGP), has plans to add a number of new retailers and restaurants to the mall in addition to encouraging existing tenants to renovate and upgrade their spaces. Bankrupt retailers Gymboree and Payless are both conducting store closing sales at the mall and will most likely be closed by month end. Charlotte Russe has closed, but will be one of the stores that will reopen in the next few months. Gong Cha Tea recently opened a kiosk on the second floor of the mall above H&M, while nearby, True Religion, which had reportedly been operating its store as an outlet, closed. 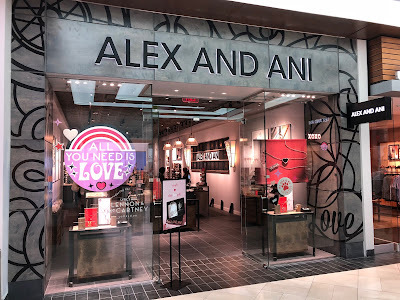 Jewelry retailer Alex and Ani recently opened in the mall as did relocated outposts of Lush cosmetics, The Body Shop and Swarovski, all of which now feature their respective brands' latest store designs. Retailer Banana Republic also recently completed a full renovation of its second floor store in the Macy's wing alongside sibling retailer Gap. One of the biggest moves being made at the mall is by fast fashion retailer Zara which plans to relocate and expand in the mall. 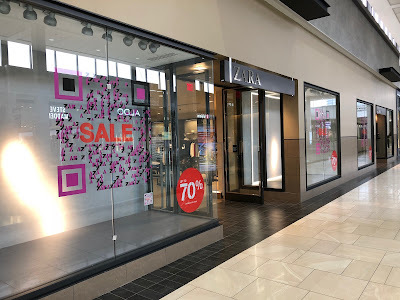 Currently located in a 10,000 square foot space on the second floor of the Von Maur wing, Zara will swell to 31,000 square feet and will encompass over a half dozen former storefronts on the second floor of the Macy's wing. A similar enlargement is happening at Zara's other Atlanta area store on the second floor of the Neiman Marcus (luxury) wing at Lenox Square in Buckhead. While there is existing crossover among the two malls - Brooks Brothers, Abercrombie & Fitch., Gap, Banana Republic, J.Crew, Victoria's Secret, Swarovski, American Eagle Outfitters, Apple, Lush Cosmetics, Madewell, Anthropologie, Urban Outfitters, Alex and Ani, Express and Macy's, among others - opening two stores so large, so close, is a bit puzzling. Victoria's Secret, one retailer that relocated to accommodate the new Zara, will itself also get a new store within the mall. Currently in temporary spaces near lululemon, Victoria's Secret and sibling brand Pink will both relocate back to the Macy's wing later this summer in spaces created by the relocations of The Body Shop, LUSH, and Swarovski, among others. According to well-placed mall sources, the new Victoria's Secret and Pink stores will open June 1 followed by Zara on November 1. Breakers Korean BBQ, which ToNeTo Atlanta first reported on May 2018, plans to open Monday April 15. The restaurant, which replaced The Pub at the front of the mall, is the second in Georgia for the growing chain. The opening at Perimeter Mall was reportedly delayed by restaurant ownership, who were simultaneously working on opening at First Colony Mall in Sugar Land, Texas, another GGP-turned-Brookfield property. The Breakers at First Colony Mall is expected to open Thursday April 11. Hollister, sibling brand of Abercrombie & Fitch that has overtaken its older sibling in popularity, is coming soon to the first floor of the mall in a roughly 5,300 square foot space. There, in the Macy's wing, the new Hollister will replace Call it Spring, Hanna Andersson, and the former Stride Rite. The store should open later this fall. 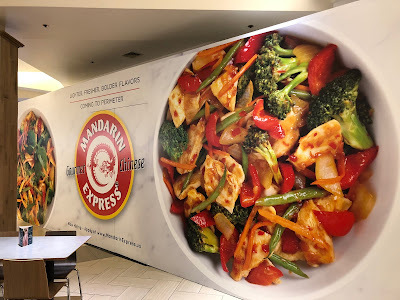 Mandarin Express, a "gourmet Chinese" eatery based in Bloomington, Minnesota, will also enter the mall later this year. Opening what will be its tenth location in Georgia, Mandarin Express in the Perimeter Mall food court will occupy the former Panera Bread which shuttered this past December after about four years in the mall. The chain is also opening in Augusta Mall in Augusta and already operates in Cumberland Mall, North Point Mall, Peachtree Mall in Columbus and Oglethorpe Mall in Savannah, all of which are Brookfield Retail Group properties. The new Mandarin Express is currently slated to open May 1. Near where the former movie theater was torn down, Brookfield plans to construct a pair of freestanding restaurant buildings where new-to-market California-based restaurant Lazy Dog Restaurant & Bar is apparently in place to lease one. The buildings, coming to the out-parcel of Dillard's, will be about 9,200 and 12,300 square feet in size. Lazy Dog will be the smaller of the two, but will have a "dog patio," where patrons are invited to bring their pups to enjoy a meal with their owners. There is even a limited dog menu with free bowls of water! Leases are reportedly "pending" for both the other new restaurant building and the former Cowfish space with sources telling ToNeTo Atlanta that all three restaurants will open in 2020. 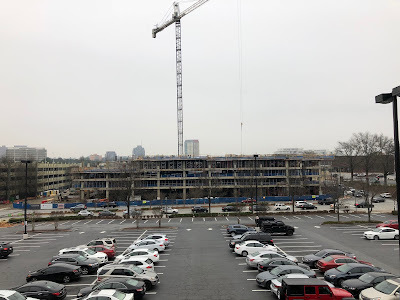 On the back side of the mall, along Hammond Drive, a new Hyatt Place Hotel is coming behind the 16-story Twelve24 office tower now going up next to the Dunwoody MARTA station, both on former mall property. New renderings of what the hotel will look like and additional interior and exterior views of the officer tower and a short video envisioning the entire development have been posted to the property's website. 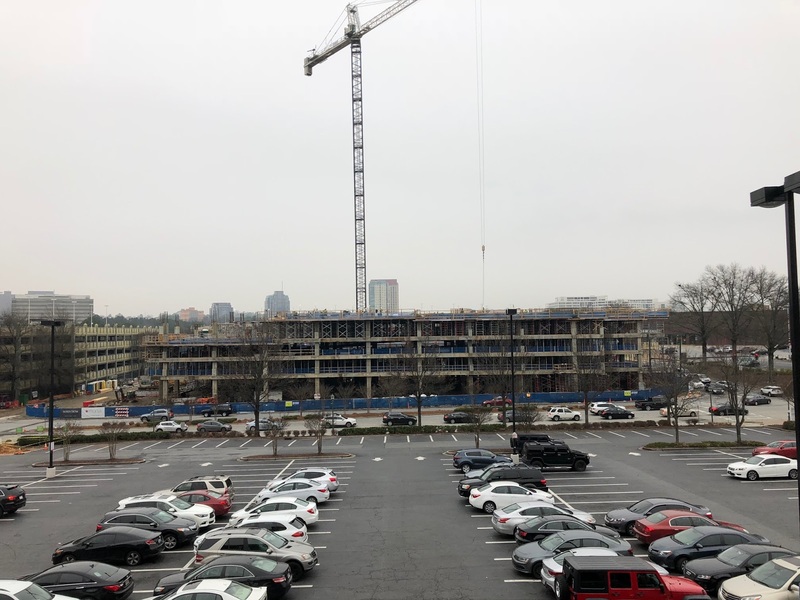 Trammell Crow Company, which purchased the four acre site, is working with Concord Hospitality Enterprises to develop the 9 story, 193 room Hyatt Place hotel connected to Twelve24. Hotel guests and Twelve24 tenants will share the elevated outdoor terrace level between the two buildings. The hotel is expected to open in mid-2020. 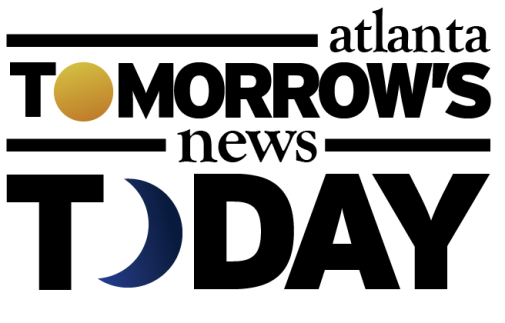 National staffing company Insight Global plans to relocate from its current headquarters at the Ashford Green building at 4170 Ashford-Dunwoody Road in Brookhaven to the Dunwoody office tower, accounting for 16 percent of the total space. Twelve24 is due to be completed October 2020. 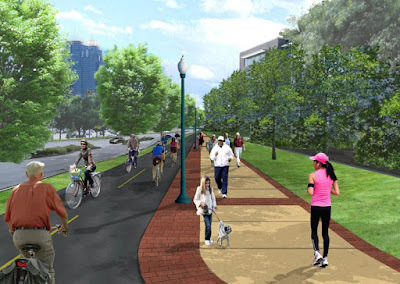 On February 11, the Dunwoody City Council approved $125,000 to complete the final design for Phase One of the Ashford Dunwoody Road Multi-Purpose Trail. Phase One's segment runs along the entire front of Perimeter Mall, from Hammond Drive to Perimeter Center West. Phase Two (Perimeter Center West to Mount Vernon Road) includes the Ashford Restaurant Park property where owner Branch properties is proposing a 60,000+ square foot redevelopment. What are your thoughts on the opening of a second super-sized Zara store in metro Atlanta? What other types of restaurants or retailers would you like to see open at Perimeter Mall? What one restaurant or retailer do you miss most from Perimeter Mall? I always thought that this was Fulton County. It's becoming painful to come there with all of the traffic. We need a new viable option between Perimeter Mall and Mall of Georgia. 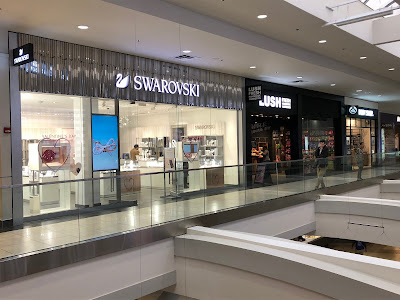 Perimeter Mall sees a higher frequency of visits from the local market, and Lenox attracts more tourists, so not sure how to address the question about sales and traffic. Perimeter is the dominant mall in the market though ((both malls are my clients). @J - I'd have to respectfully disagree. One of the reasons we're seeing so many retail stores close is because of overbuilding of malls and shopping centers. Yes, online shopping plays a huge role as well, but overbuilding plays a role as well. While I agree that the traffic in the Perimeter area is horrible, the solution won't be and can't be a new option for shopping. I frequent malls/retail less - not because of traffic, because the clothing / apparel of today is horrendous.  I am not a internet shopper (returner) either unless I know exactly what I am getting (did not have my size in store). Over retailed and abysmal merchandise of low quality and no style. Glad Perimeter is evolving in order to survive. If the demographics continue to trend downward, then we need to be concerned about more in this nation than the survival of retail and restaurants. I was there on opening day in 1971. Lester Maddox gave a speech in the lower level of what is now the Dillard (JC Penny) wing. He did his riding a bicycle backwards shtick after. The cinema was originally a twin and I am pretty sure it opened several months after the mall itself opened. Later on it became (briefly) a triple screen before ultimately a quad screen. How could you forget the "Airport" clothing store on the upper level with its purple facade and window shaped like a 747?